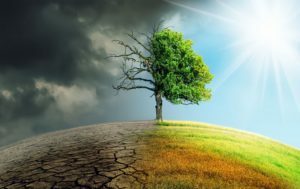 Global warming refers to the gradual heating of the atmosphere, accompanied by the worldwide rise in the average temperatures since the late 1800s. Its basically the accumulation of excessive (CO2) in the atmosphere thus creating a blanket that traps heat and results to a warming effect on the planet. According to the Environmental Protection Agency (EPA), over the next 100 years, there is a projection of a rise in temperature 2 to 11.5 degrees. Intergovernmental Panel on Climate Change (IPCC) asserts that global warming is factual with a 97% consensus from the climate scientists that the warming trends in the planet are rather a human cause than a natural derivative (Eco-Link, 2007). The global warming phenomenon begins primarily with the greenhouse effect which is as a result of the interaction between the incoming solar radiations with the atmosphere of the earth. The accumulation of carbon is as a result continued combustion of fossil fuels, oil, coal and burning of green matter. Biomass substitution is one way of preventing GHG emissions thereby preventing global warming. Substituting fossil fuels that emit high amounts of GHG with biomass can reduce the amount of GHG emitted into the atmosphere. Apart from biomass, there are other forms of renewable sources of energy that can be used to reduce dependence on fossil fuels and thus prevent global warming. Solar, wind, hydroelectric, and geothermal are some of the most viable sources of renewable energy. Wind energy, for instance, is a viable form of energy whose production does not involve the emission of GHG. A wind turbine can run for 20 years without emitting CO2. Besides, wind energy can provide sufficient power at virtually every part of the world. The second major way of reducing global warming is by using carbon sinks that absorb carbon dioxide from the atmosphere. It is generally agreed that forests are excellent carbon sinks. Estimates indicate that in the absence of terrestrial carbon sinks (forests), the current concentration of CO2 which stands at about 377 parts per million would be higher (Eco-Link, 2007). A third way of preventing global menace is to foster vegetarianism. The proportion of methane in the atmosphere is second only to CO2. Since methane is a greenhouse gas, preventing its emission into the atmosphere would play an important role in preventing global warming. Lastly, global warming can be reduced by employing the 3Rs denoting Reduce, Reuse and Recycle. Reducing means cutting down on the amount of stuff one buys. Reusing means using a product more than one time for the same or a different purpose. Recycling entails conversion of a used item into the same or a different item through a process that makes use of less resource than the original item (Allen & DeLascio, 2009). In conclusion, global warming is a threat to humans, animals and plants. As such, there is need to adopt strategies that can mitigate this phenomenon. Reduction on the use of fossil fuels can significantly reduce the emission of GHG which contribute to global warming. This can be done by using alternative sources of energy such as biomass, solar energy, wind energy, and geothermal energy among others. Aforestation and forest conservation can also help to prevent global warming. This is because forests serve as carbon sinks by removing CO2 from the atmosphere. Vegetarianism is another way through which emission of GHG gases into the atmosphere can be prevented. Additionally, adopting the 3Rs (reduce, reuse and recycle) initiative can go a long way in preventing global warming by reducing energy use. However, it is important to note that some of the methods suggested above may not be sustainable in the modern global economy. For example, vegetarianism may be an effective way of reducing emission of methane into the atmosphere, but adopting this strategy in whole scale may exert pressure on the food sector due to over-reliance on food crops. Allen, R. D., Seaman, S. M., & DeLascio, J. E. (2009). Emerging issues: Global warming claims and coverage issues. Def. Counsel J., 76, 12. Eco-Link 2007, Climate Change: Forests and Carbon Sequestration. Temperate Forest Foundation, vol. 16, no. 2, pp. 1-4. Tags Conclusion of Global Warming Essay on Global Warming Global Warming Article Global Warming Essay Conclusion Global Warming Essay Example Global Warming Essay For Students Global Warming Essay in English 500 Words and More Global Warming Essay in English 684 Words Global Warming Essay Introduction Global Warming Essay Sample Global Warming Prevention Methods Global Warming Reduction Methods How To Prevent Global Warming How To Reduce Global Warming what is Global Warming?